Every so often my iPod will stop playing podcasts for no apparent reason. Every time this happens I’ll pull it out of my pocket and find that Voice Control has been activated. Other times I’ll find FaceTime running even though I have the icon hidden. Still other times I’ll catch my iPod trying to call one of my contacts over FaceTime. The one thing these problems all have in common is Voice Control. Since Voice Control is worse than useless, I wanted to find a way to turn it off. Apple in their infinite wisdom doesn’t let you do this, even though their users seem to be clamoring for it. 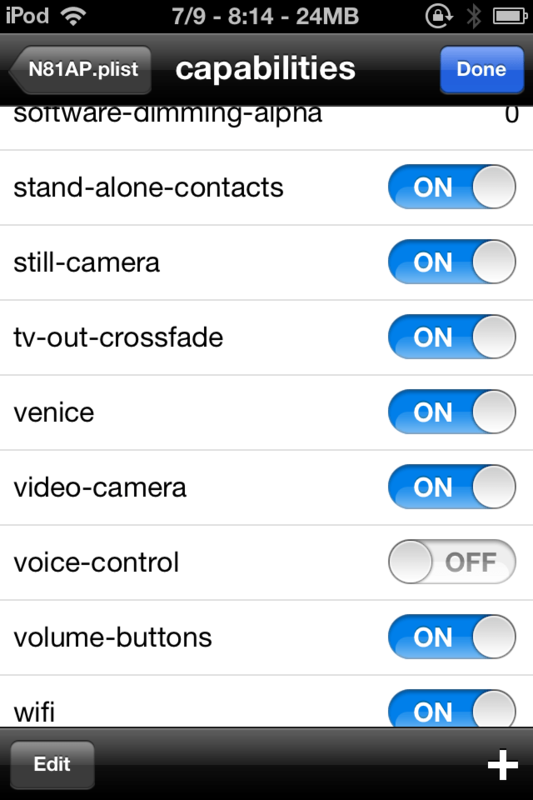 So obviously to turn off voice control, your iDevice will have to be jailbroken. Searching the Cydia app store, the only app that I found to turn off voice control was a Winterboard app, which isn’t worth the memory drain. After wading through the mess of sites that confused voice control with Voice Dialing or Voice Over, I found several sites that explained what I needed to do: go to the /System/Library/CoreServices/SpringBoard.app/ and edit a plist file. For some reason the name of the plist file varies from post to post, but I found that mine was called N81AP.plist Again there are several ways to edit this file, but ssh’ing into my iPod wasn’t one of them since the plist file seems to be a binary format. So I needed a program that understood how to read and edit plist files. Scroll down to the switch labeled voice-control and turn it off. 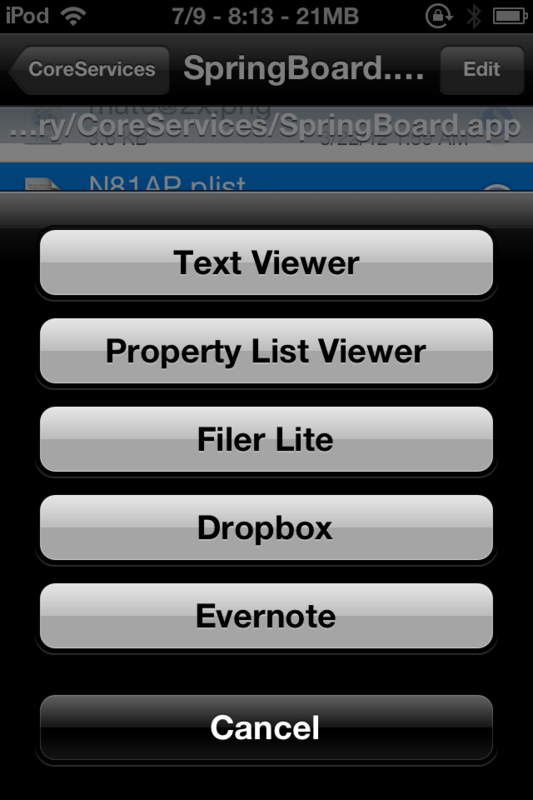 Respring your iDevice and try holding down the home button. If everything worked correctly nothing should happen. 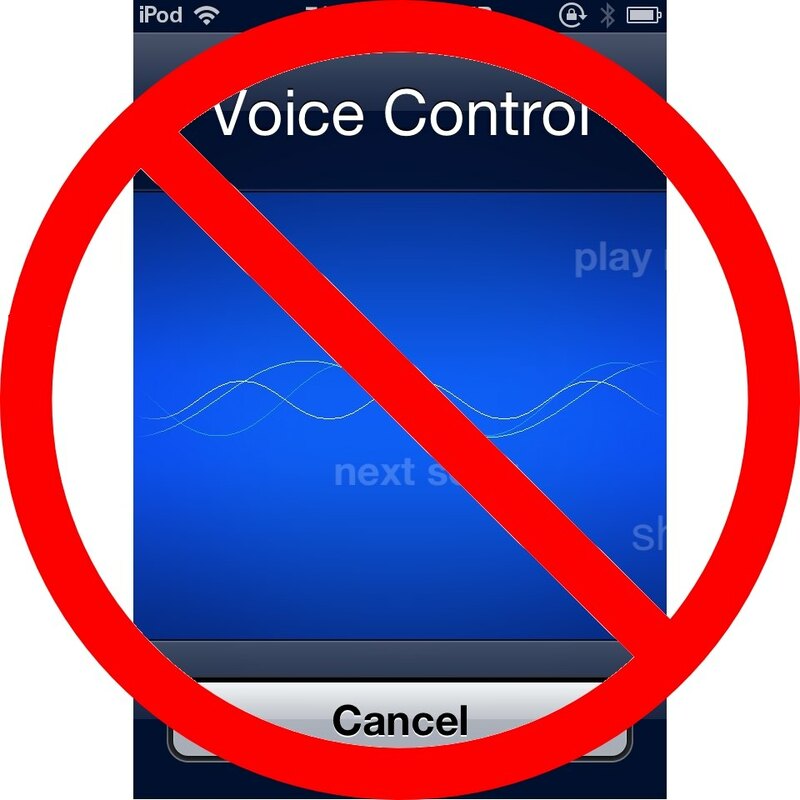 Supposedly you can disable Voice Control without jailbreaking your iDevice with a program called iFunBox, but I use Linux and really don’t want to deal with connecting my iPod to a computer.